No. 60. 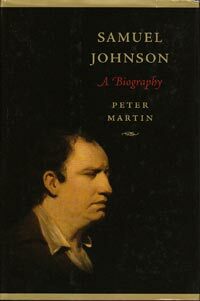 The dignity and usefulness of biography. ≈ Comments Off on No. 60. The dignity and usefulness of biography. Hor. Lib. i. Epist. ii. 3. Than all the sober sages of the schools. All joy or sorrow for the happiness or calamities of others is produced by an act of the imagination, that realizes the event however fictitious, or approximates it however remote, by placing us, for a time, in the condition of him whose fortune we contemplate; so that we feel, while the deception lasts, whatever motions would be excited by the same good or evil happening to ourselves. Our passions are therefore more strongly moved, in proportion as we can more readily adopt the pains or pleasure proposed to our minds, by recognising them as once our own, or considering them as naturally incident to our state of life. 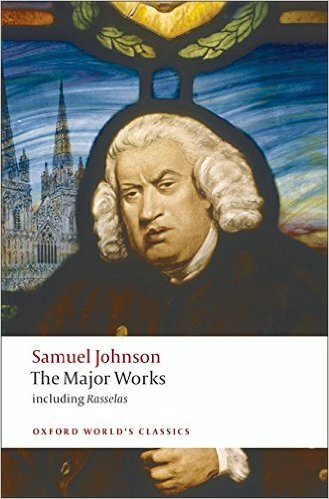 It is not easy for the most artful writer to give us an interest in happiness or misery, which we think ourselves never likely to feel, and with which we have never yet been made acquainted. Histories of the downfal of kingdoms, and revolutions of empires, are read with great tranquillity; the imperial tragedy pleases common auditors only by its pomp of ornament, and grandeur of ideas; and the man whose faculties have been engrossed by business, and whose heart never fluttered but at the rise or fall of the stocks, wonders how the attention can be seized, or the affection agitated, by a tale of love. Those parallel circumstances and kindred images, to which we readily conform our minds, are, above all other writings, to be found in narratives of the lives of particular persons; and therefore no species of writing seems more worthy of cultivation than biography, since none can be more delightful or more useful, none can more certainly enchain the heart by irresistible interest, or more widely diffuse instruction to every diversity of condition. The general and rapid narratives of history, which involve a thousand fortunes in the business of a day, and complicate innumerable incidents in one great transaction, afford few lessons applicable to private life, which derives its comforts and its wretchedness from the right or wrong management of things, which nothing but their frequency makes considerable, Parva si non fiant quotidie, says Pliny, and which can have no place in those relations which never descend below the consultation of senates, the motions of armies, and the schemes of conspirators. I have often thought that there has rarely passed a life of which a judicious and faithful narrative would not be useful. 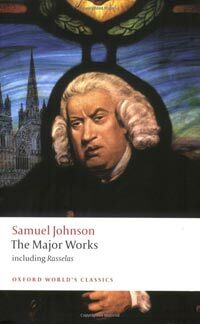 For, not only every man has, in the mighty mass of the world, great numbers in the same condition with himself, to whom his mistakes and miscarriages, escapes and expedients, would be of immediate and apparent use; but there is such an uniformity in the state of man, considered apart from adventitious and separable decorations and disguises, that there is scarce any possibility of good or ill, but is common to human kind. A great part of the time of those who are placed at the greatest distance by fortune, or by temper, must unavoidably pass in the same manner; and though, when the claims of nature are satisfied, caprice, and vanity, and accident, begin to produce discriminations and peculiarities, yet the eye is not very heedful or quick, which cannot discover the same causes still terminating their influence in the same effects, though sometimes accelerated, sometimes retarded, or perplexed by multiplied combinations. We are all prompted by the same motives, all deceived by the same fallacies, all animated by hope, obstructed by danger, entangled by desire, and seduced by pleasure. It is frequently objected to relations of particular lives, that they are not distinguished by any striking or wonderful vicissitudes. The scholar who passed his life among his books, the merchant who conducted only his own affairs, the priest, whose sphere of action was not extended beyond that of his duty, are considered as no proper objects of publick regard, however they might have excelled in their several stations, whatever might have been their learning, integrity, and piety. But this notion arises from false measures of excellence and dignity, and must be eradicated by considering, that in the esteem of uncorrupted reason, what is of most use is of most value. 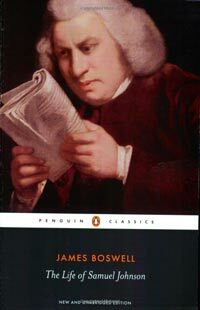 It is, indeed, not improper to take honest advantages of prejudice, and to gain attention by a celebrated name; but the business of a biographer is often to pass slightly over those performances and incidents, which produce vulgar greatness, to lead the thoughts into domestick privacies, and display the minute details of daily life, where exterior appendages are cast aside, and men excel each other only by prudence and by virtue. The account of Thuanus is, with great propriety, said by its author to have been written, that it might lay open to posterity the private and familiar character of that man, cujus ingenium et candorem ex ipsius scriptis sunt olim semper miraturi, whose candour and genius will to the end of time be by his writings preserved in admiration. There are many invisible circumstances which, whether we read as inquirers after natural and moral knowledge, whether we intend to enlarge our science, or increase our virtue, are more important than publick occurrences. Thus Sallust, the great master of nature, has not forgot, in his account of Cataline, to remark that his walk was now quick, and again slow, as an indication of a mind revolving something with violent commotion. Thus the story of Melancthon affords a striking lecture on the value of time, by informing us, that when he made an appointment, he expected not only the hour, but the minute to be fixed, that the day might not run out in the idleness of suspense: and all the plans and enterprizes of De Witt are now of less importance to the world, than that part of his personal character, which represents him as careful of his health, and negligent of his life. But biography has often been allotted to writers who seem very little acquainted with the nature of their task, or very negligent about the performance. 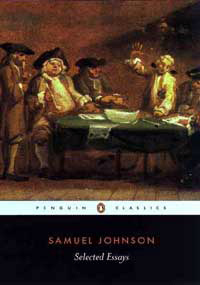 They rarely afford any other account than might be collected from publick papers, but imagine themselves writing a life when they exhibit a chronological series of actions or preferments; and so little regard the manners or behaviour of their heroes, that more knowledge may be gained of a man’s real character, by a short conversation with one of his servants, than from a formal and studied narrative, begun with his pedigree, and ended with his funeral. If now and then they condescend to inform the world of particular facts, they are not always so happy as to select the most important. I know not well what advantage posterity can receive from the only circumstance by which Tickell has distinguished Addison from the rest of mankind, the irregularity of his pulse: nor can I think myself overpaid for the time spent in reading the life of Malherb by being enabled to relate after the learned biographer, that Malherb had two predominant opinions; one, that the looseness of a single woman might destroy all her boast of ancient descent; the other, that the French beggars made use very improperly and barbarously of the phrase noble Gentleman, because either word included the sense to both. There are, indeed, some natural reasons why these narratives are often written by such as were not likely to give much instruction or delight, and why most accounts of particular persons are barren and useless. If a life be delayed till interest and envy are at an end, we may hope for impartiality, but must expect little intelligence; for the incidents which give excellence to biography are of a volatile and evanescent kind, such as soon escape the memory, and are rarely transmitted by tradition. We know how few can pourtray a living acquaintance, except by his most prominent and observable particularities, and the grosser features of his mind; and it may be easily imagined how much of this little knowledge may be lost in imparting it, and how soon a succession of copies will lose all resemblance of the original. If the biographer writes from personal knowledge, and makes haste to gratify the public curiosity, there is danger lest his interest, his fear, his gratitude, or his tenderness, overpower his fidelity, and tempt him to conceal, if not to invent. There are many who think it an act of piety to hide the faults or failings of their friends, even when they can no longer suffer by their detection; we therefore see whole ranks of characters adorned with uniform panegyrick, and not to be known from one another, but by extrinsick and casual circumstances. “Let me remember,” says Hale, “when I find myself inclined to pity a criminal, that there is likewise a pity due to the country.” If we owe regard to the memory of the dead, there is yet more respect to be paid to knowledge, to virtue, and to truth.